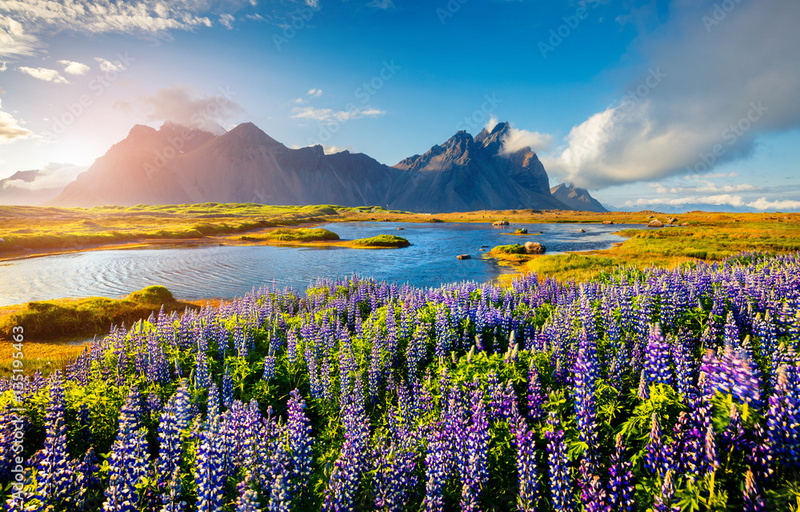 > Staande foto>Categorieën>Reizen>Noord Europa>Blooming lupine flowers on the Stokksnes headland on the southeastern Icelandic coast. Iceland, Europe. Artistic style post processed photo.